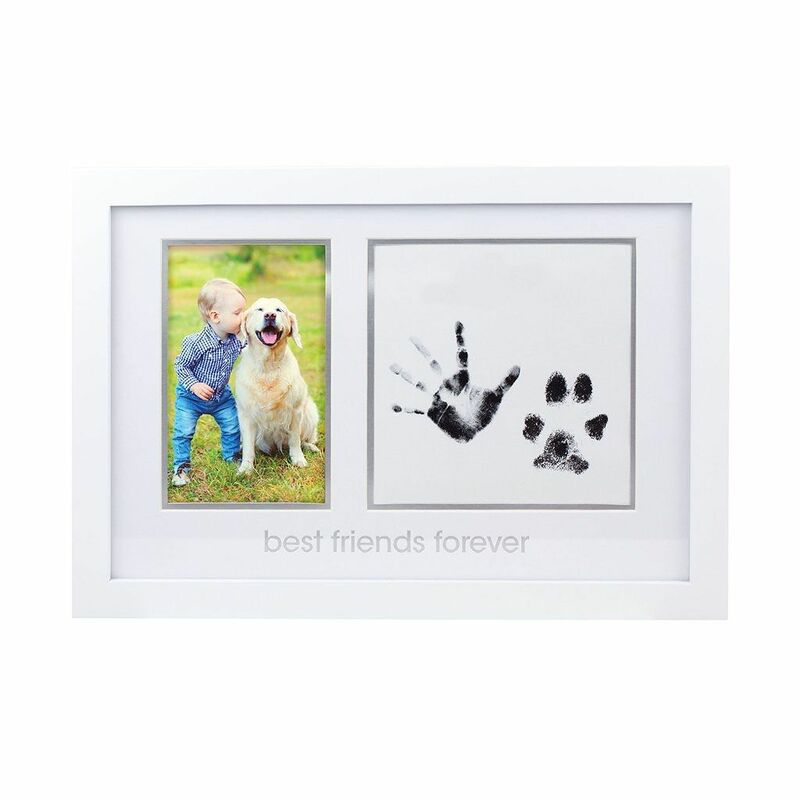 Pearhead our prints frame is perfect for any family who treats their pet as part of the family. 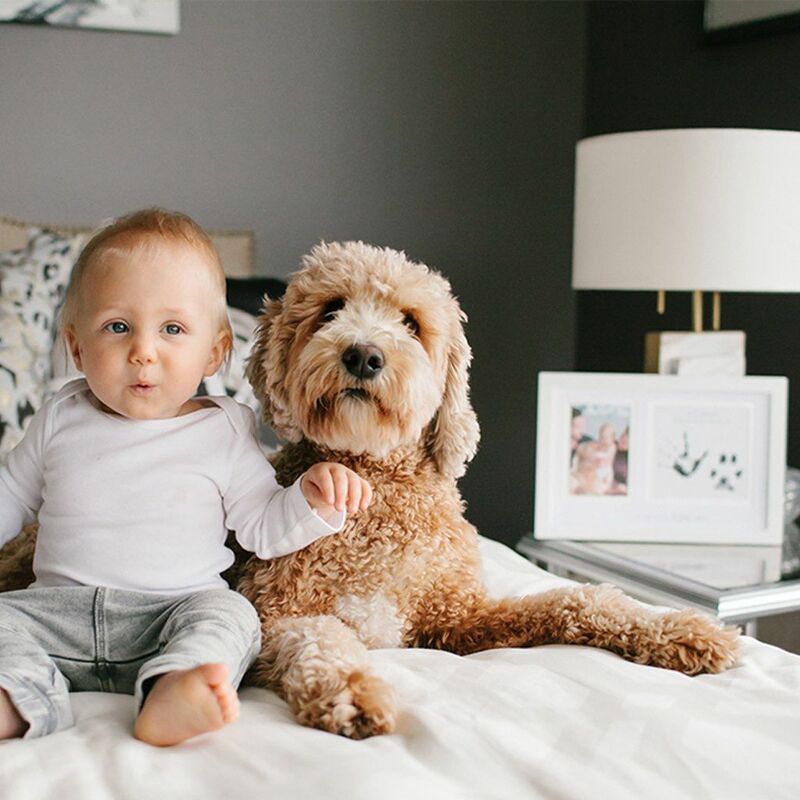 Children often from a close bond and become best friends with the pet of the house. What better way to preserve the memory of such closeness than with this pet keepsake photo frame? 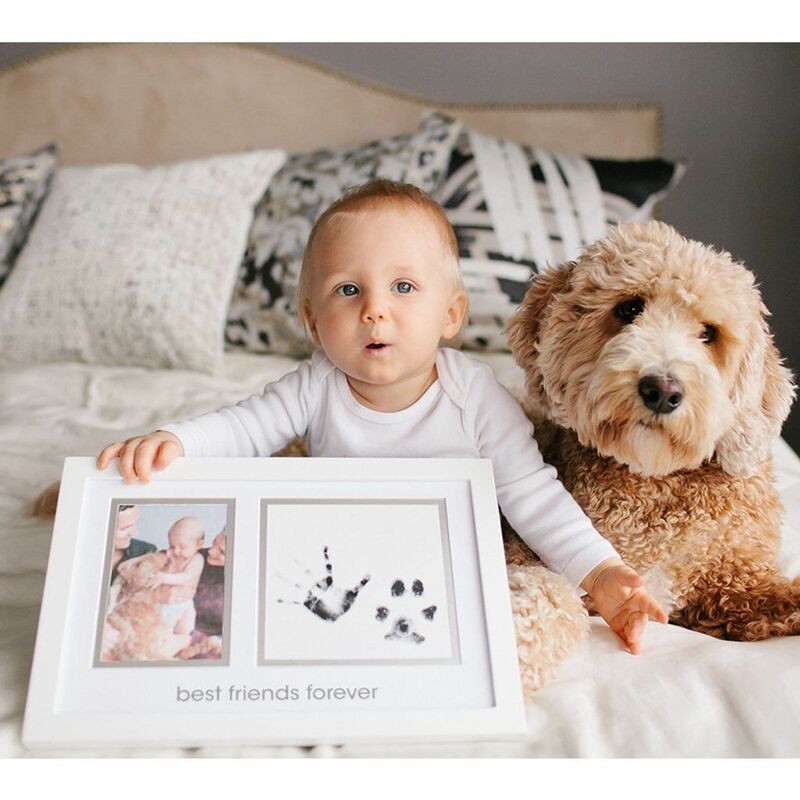 Pearhead's our prints frame is an adorable keepsake that's ready for you to customize with your child's handprint and your pet's paw print. 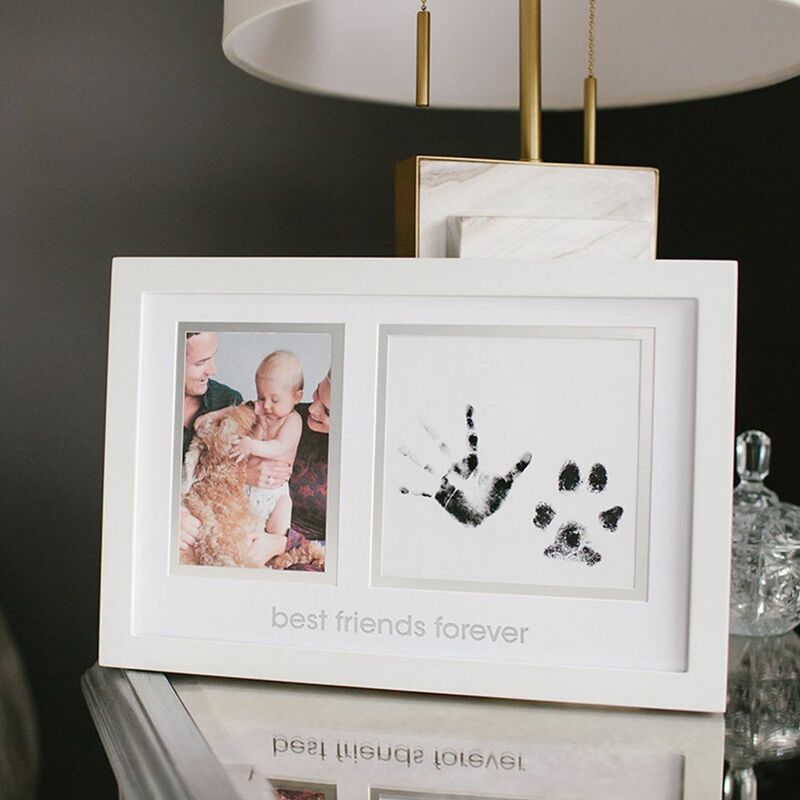 The photo frame includes the text, "best friends forever" with space for a photo print and a spot for a single impression of each of their adorable prints. The Pearhead our prints frame is also easy to use, so no worries at all over the application process. Included with the frame is a complete clean-touch ink pad and two imprint cards that are ready to use. Once the handprint and paw print are set and dry you'll be ready to hang your one-of-a-kind treasure for all to admire and enjoy. Simply tap a nail in the spot of your choice and the attached, ready-to-hang sawtooth wall mount easily slides into place. Instantly, you have a unique memento you and your family will cherish for years to come. A special occasion coming up and you're not sure what to give? This keepsake frame is a wonderfully creative gift for the family in your life with a "furever" friend and child who adores them. They'll appreciate this thoughtfully unique gift that beautifully showcases how much they love their children and their four-legged family members. This is a gift that won't be forgotten. Product dimensions: 13.25" W x 9" H x 0.5" D; Photo insert: 4" x 6"